Free Shipping Included! 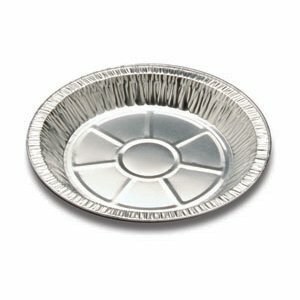 KitchenDance 9'' Medium Depth Disposable Pie Pans- 1'' deep- 24 oz. Capacity (500) by KitchenDance at Just Gathering. MPN: D64. Hurry! Limited time offer. Offer valid only while supplies last. BUYING GUIDE - IMPORTANT NOTE: please don't rely on just the photos for your purchasing decision - pie pans look pretty much alike in the pictures.